I specialise in the diagnosis and treatment of all orthopaedic conditions and disorders of the locomotor system. Every treatment begins with a wide-ranging discussion of your symptoms and a full and detailed examination. True to the principles of evidence-based medicine, at my practice I can give your orthopaedic problems the time they deserve, so that together we may identify a suitable therapy, tailored to your needs. My extensive education and experience, backed-up by continuous further training, enable me to find the quickest and most effective way to making you feel fit and well again. If an operation is considered necessary, I personally conduct it with the assistance of our team at the Krankenhaus der Barmherzigen Schwestern Wien, located at Stumpergasse 13, 1060 Vienna. Here you can enjoy the comfort of highly professional care, provided not only by both myself and the full nursing and medical team of the orthopaedic unit, but also by our superbly coordinated departments of anaesthesia and internal medicine. Changes and wear in the hip joint lead to restricted movement accompanied by pain. At my practice, you will receive a thorough examination in order to establish the primary cause of your problem. Many factors influence the circular movement in the hip, and most problems respond extremely well to conservative treatment. If you suffer from advanced wear in the joint, hip endoprosthesis surgery (implant of a new hip joint), preferably via the anterior approach, offers reliable reduction in pain and the possibility of returning to the vast majority of sporting activities. An anterior approach using the AMIS method is my standard approach in this case, as it does not damage muscles or tendons, and the skin incision remains small. Further advantages are a quicker rehabilitation and significantly reduced luxation risk (dislocation). This method should only be performed by surgeons with extensive experience and practice in its application. The type of implants used have proven successful in thousands of patients, and some have even been specifically designed for this particular approach (AMIS). After the operation, you will remain in hospital for between three and eight days. On release you will be able to walk unaided, and will once again be able to go up and down stairs with almost no discomfort. Due to the many tasks it performs, the largest joint in the human body poses a wide range of challenges in terms of diagnosis, with equally wide-ranging therapy potential. During the examination I assess the neighbouring joints and a large number of muscles, joint partners and forces impacting on the knee, so that together we can decide on the most appropriate treatment. Should your condition require surgery, there is a wide range of options: from arthroscopy (a minimally invasive intervention to perform an endoscopy of the affected joint, offered as a single day procedure) through cruciate ligament reconstruction to the replacement of part or all of the joint. The latest techniques make it possible to remove only the damaged cartilage and insert a liner which fits the knee exactly, thanks to a computer-designed cutting method. The MyKnee technique for new knee joints was co-developed at our Orthopedics unit at the Krankenhaus der Barmherzigen Schwestern Wien, and is constantly being upgraded. Thanks to the use of patient-specific instruments, you will have all the advantages of a more accurate, faster and much less traumatic knee operation. In addition, complications like infections, vascular occlusions and excessive blood loss are avoided, and accurate mapping of the knee joint increases implant lifetime. We can also – if need be – undertake all types of corrective surgery (replacement of individual components or the full system). Once the wound has stopped weeping and you have no problem bending your new knee joint through 90°, you can be released from hospital, generally within six days after the operation. No other part of the body is subjected to as much stress as our feet. In case of foot and ankle pain, identifying the nature of the disorder is the main priority, as this is the basis for any pain therapy and treatment. As well as providing you with the correct shoe inserts, you can be prescribed special shoe modifications or patient-specific orthopaedic shoes. Where joints are worn down, resulting in restrictions in movement accompanied by pain, cartilage build-up therapy or arthroscopic surgery can be undertaken. Hallux surgery: In cases of big toe deformity (hallux valgus) and arthritis of the main joint of the big toe (hallux rigidus), the pain can be eliminated by operations ranging from a straightening procedure to inserting a small hemiprosthesis in the metatarsophalangeal joint. Hammer toes and ganglions (exostoses) can also be corrected by means of minor surgery, generally on an outpatient basis. In the hindfoot area, painful heel bones and Achilles tendons respond well to operation, including subsequent to sustaining injury. Characterised by high mobility and involving a multitude of participating neighbouring joints and structures, the shoulder is particularly susceptible to complaints and injury. My many years of experience in a department specialising in shoulders means that I am well acquainted with all the various therapy methods on offer, from minimally invasive shoulder surgery (shoulder arthroscopy, “keyhole surgery”) to partial or full joint replacements. Any therapy has to start with a systematic, extensive examination and diagnosis. Once this has been completed, often all that is needed is properly targeted physiotherapy. Apart from tendinitis calcarea (calcific tendinitis of the shoulder), other frequent disorders are so-called “frozen shoulder” (capsulitis adhaesiva) or the vast array of torn and ruptured tendons (rotator cuff tear). Even arthrosis of the shoulder can nowadays be treated using minimally invasive techniques in certain cases. Moving down the body, tennis elbow and golfer elbow also need systematic conservative therapies. Here infiltration treatments and intensive physiotherapy are the preferred options. “Joint mice” (arthroliths) can be removed by surgery, and painful tendon insertions can be relieved in the same manner. When it comes to hands, I treat carpal tunnel syndrome, trigger finger and tendon sheath stenosis by surgical operation. The same applies to ganglions in cases where they lead to a reduction in finger function. All these operations can be performed on an outpatient basis, most of them indeed using local anaesthetic only, so that you spend as little time as possible in hospital. 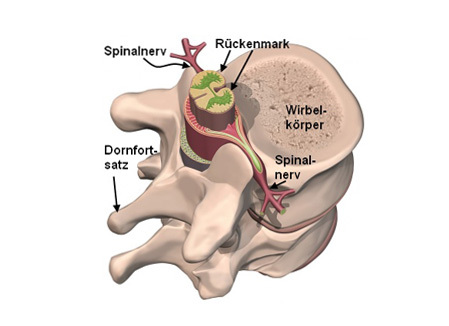 Since it forms the connection between the head, trunk and limbs, my approach to the spine is strictly conservative, using the methods of manual medicine (as a qualified manual therapist) as well as ordinary or CT-guided infiltration. The majority of all pain in this area, from cervical spine syndrome and straightforward tightening of the muscles to lower back pain, lumbago and slipped discs, can be treated non-intrusively in this manner. In the relatively rare cases which require urgent surgery, the appropriate indications are issued and you are referred to a trusted specialist. In this field too, close cooperation with physiotherapists has proved to be extremely successful. Studied medicine at the universities of Vienna and Graz. Trained as a specialist in orthopaedics and orthopaedic surgery at the Krankenhaus der Barmherzigen Schwestern, Vienna. Study stays and additional specialist training in hip surgery in France and Switzerland. Implementation of the AMIS (Anterior Minimally Invasive Surgery) Outpatient Unit at the Krankenhaus der Barmherzigen Schwestern, Vienna. Operations on the upper and lower limbs, conservative and manual pain therapy, CT-guided infiltration treatments. Via the underground U3 line: Get off at Rochusgasse, take the lift or stairs to Hainburgerstraße, and go through the pedestrian walkway in the direction of Landstraßer Hauptstraße. Take the second building entrance immediately on your left.